The Cabana Club Sling Counter Height Stool was designed by Richard Holbrook to complement the Cabana Club modular pieces. 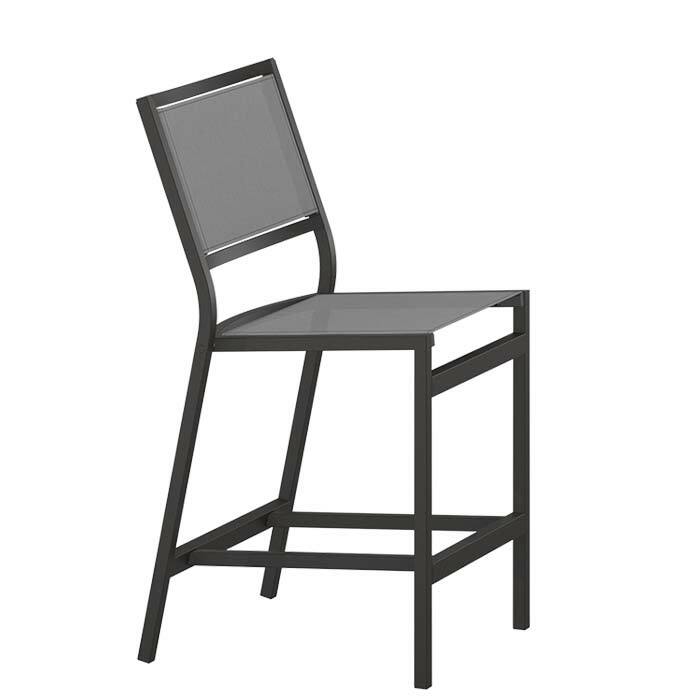 A refined minimalist design creates a strong sophisticated statement at any bistro or poolside location. The linear elements of the stool complement modern architectural environments and lends an open and airy effect even in small spaces. Offered in an aluminum frame that can be customized in a range of finishes and fabrics, the Cabana Club Counter Height Stool is the perfect fit for any outdoor seating area.